Never cooked a Prime Brisket. Hope I don't screw it up. Cooking it for the Mrs. Birthday bash. Trying a new rub. Meat Church Holy Cow. It's gonna be an all nighter. Cheers! Bobcat1, you'll do just fine. Put it in the cooler at 9am to rest a couple of hours. I'll post pics as soon as I slice it. 16 hour cook. Well.....how did it turn out? Really Juicy and tastes awesome! Do you foil half way through? I just use salt and pepper these days and have done away with foiling half way through. Cut point from flat for burnt ends. I quit foil and now use butcher paper. I wrap at 165-170 degrees or as soon as my bark is right. 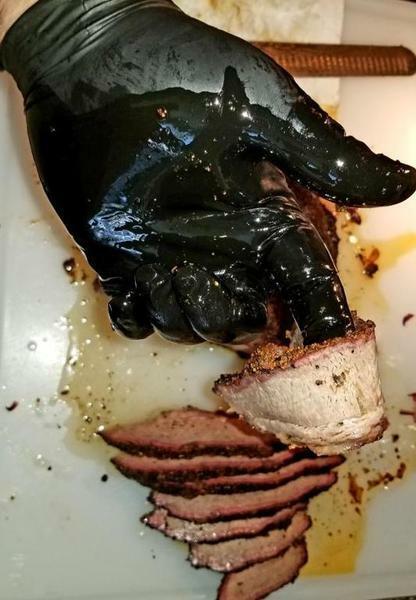 Where you get the prime brisket? To each, their own, I guess. Not wanting to start a fight or anything, but I just wonder. 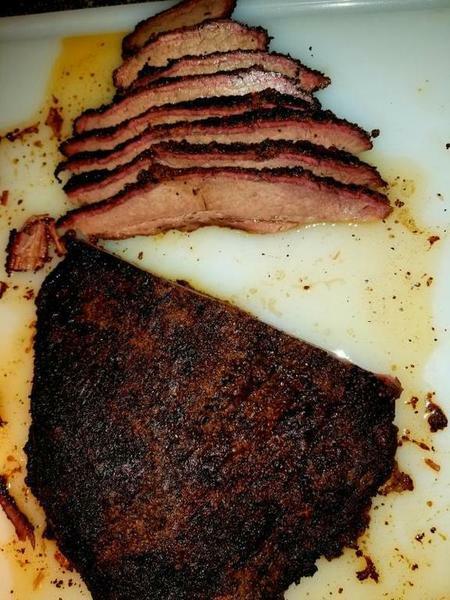 I just don't see the advantage of using Prime brisket. ALL grades of brisket are tough as nails unless you cook them long and slow. I just don't see the advantage of using Prime over Choice or even a lesser grade. Not to mention the difference in price. Would it be any better if you used Prime for stew meat, or hamburger? I'm glad there are wine drinkers in this world ..... it saves more beer for the rest of us. You may be right Big Hopper. Maybe I just got lucky with this one. 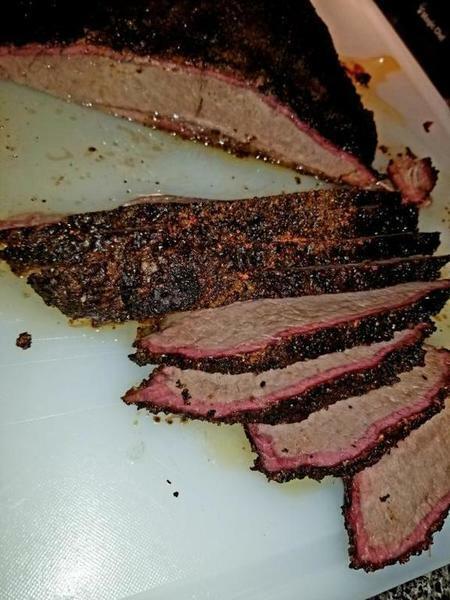 All of my briskets have been good but this Prime one was the best I have ever had. My wife thought so too. Them prime had more marbling which made it more tasty and juicy to me. temp settings on your cook and pull temp ? I use a Camp Chef Lux cooker. I cook on High Smoke 225 degrees, I wrap at 165 and pull at about 200 when it probes like a hot knife in butter. 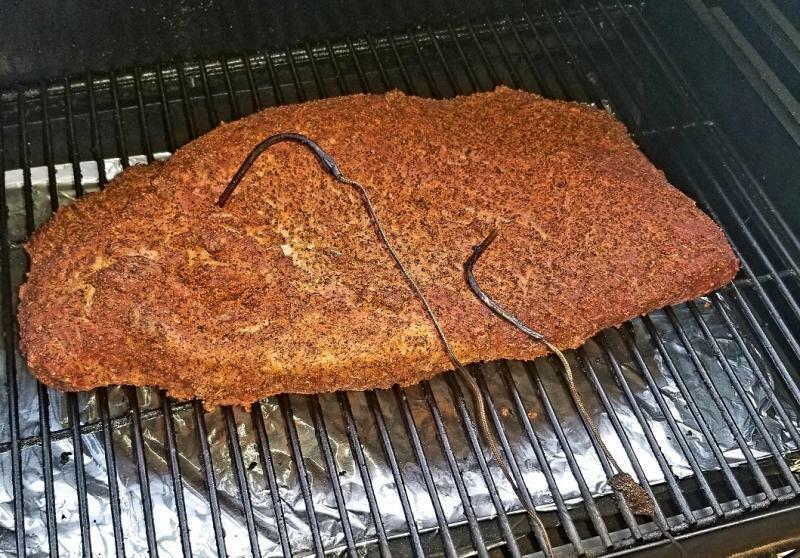 Holy Cow is an awesome rub from Meat Church!!! tony's with a buncha garlic powder. cook at 225 for 6 hrs. bout as good as it gets. Prime is not graded Prime for marbeling (tenderness) only. It also has to do with the fullness of the muscle. 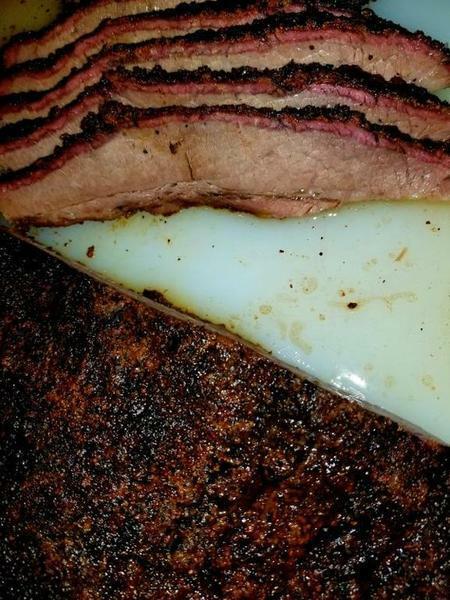 A prime brisket will generally give wider slices due to the fullness of the muscle as compared to lower grades of beef. I have gained 10 pounds just reading this post and seeing that Bar B.Q. 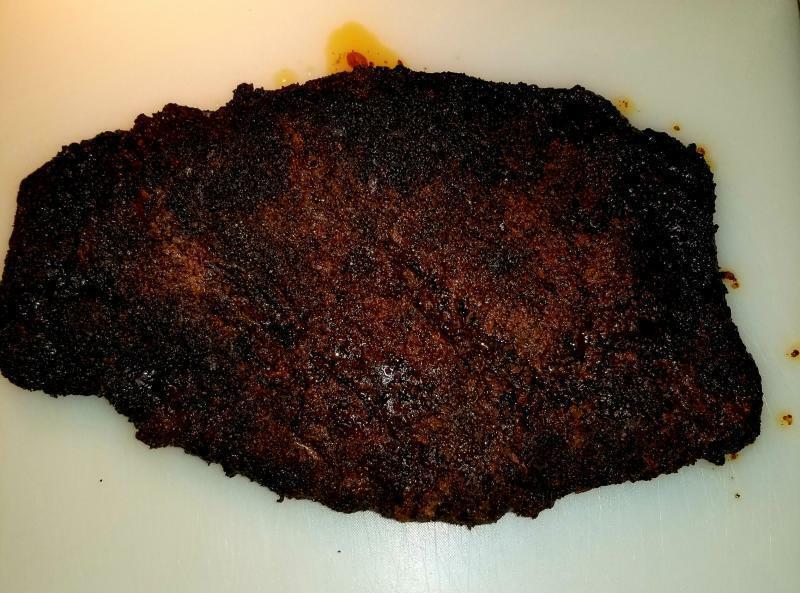 My son wasted money on a prime brisket at Costco and he cooks some good brisket, cooked it 13 hours and we had it for Thanksgiving are we tried to eat it. Tough as a boot and he was pI^^ ed ad said he was going back to cheaper briskets and had never had one that bad. 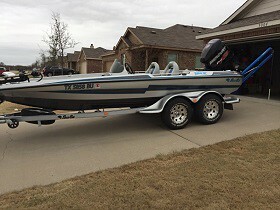 Said he paid 50 dollars for it.